Located on Main Street in lovely Downtown Willimantic, Not Only Juice is that organic vegetarian café you were looking for. 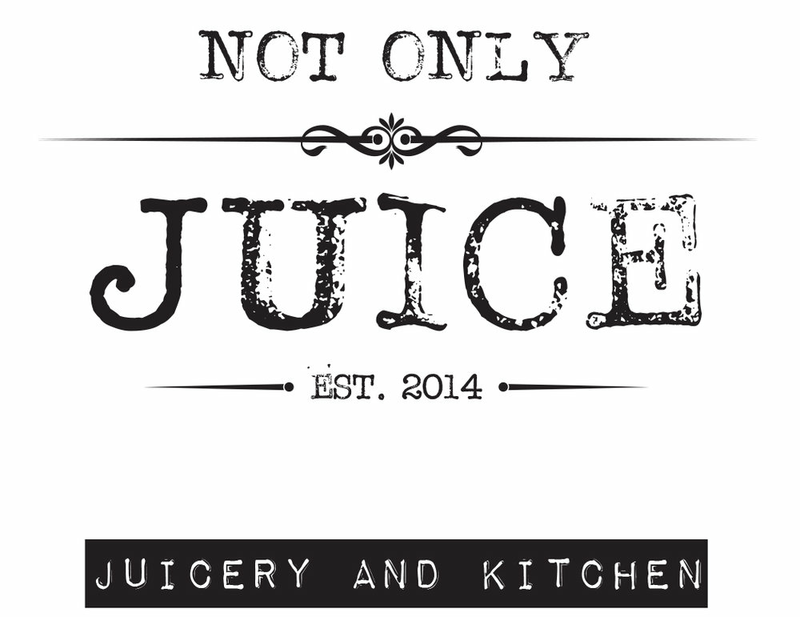 Not Only Juice opened its doors in March of 2015 and is Northeastern Connecticut's only cold-pressed juicery but, as our name suggests, we have a lot more than juice. The cold-pressed method gently and slowly grinds the produce into a fine pulp (called "slurry") and placed in cloth press bags/cloths. Once the slurry is ready, the filled press bags are placed in the press. Two stainless-steel blades are pressed together, placing thousands of pounds of pressure on the pulp to extract every last drop of juice. This little-to-no-heat method results in a juice that’s not only superior in flavor but also in nutritional value, containing up to five times the amount of vitamins, trace minerals and enzymes as a typical centrifugally-produced juice. Our cold-pressed juice is bottled and stays fresh for 72 hours. Typical household juicers, also known as "centrifugal" or juicers taken significantly less time to process but are much less efficient. These juicers extract juice with a fast-spinning metal blade that spins against a mesh filter, separating juice from the fruit/vegetable flesh via centrifugal force. As the blade inside this juicer spins it generates heat, destroying enzymes and micro-nutrients in the process. This heat also creates oxidation (which is what ages us), rendering the nutrients that do make it into your juice less pure. While even cold-pressed juice starts to naturally separate after time, centrifugally-produced juice begins to separate almost immediately due to premature oxidation during the extraction process. We offer drop and go catering for events of varying sizes and needs. If you are interested in catering for a party, meeting, holiday or please email notonlyjuice@gmail.com and we will work with you to finalize the menu that is right for you. Following are some of our more popular items but these are options are just the beginning of what we have available.